This is Christmas, all wrapped up… literally! 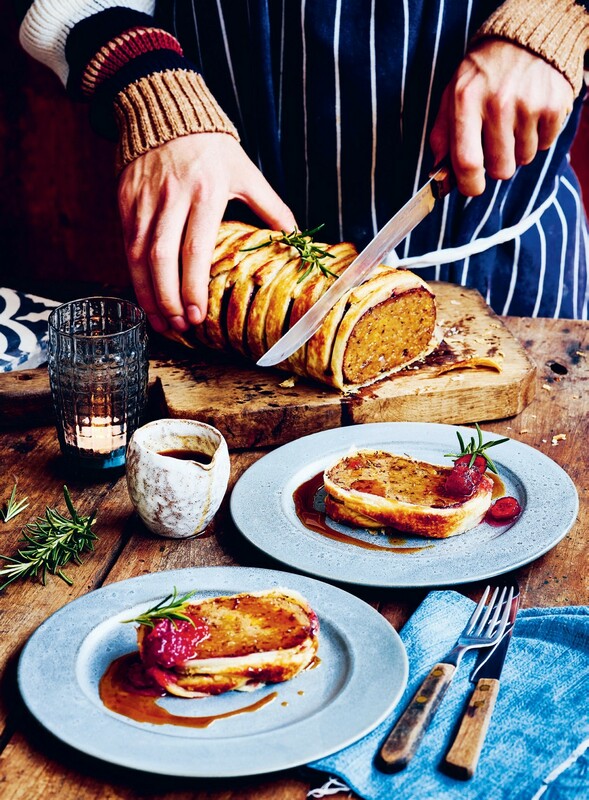 The Christmassy flavours we all love are in this roast ‘beef’ wellington. It’s so succulent and flavoursome. It’s December! Unfortunately for some (mainly my colleagues) I’m amongst the half of the population who, once entering the final month of the year, can’t hold back the excitement, nor the festive music, mince pies or glitter (biodegradable, of course). I see December as a time for celebration – in the Western world, we often only correlate the month with Christmas, but there are innumerable different religious and cultural celebrations commencing all over the planet. Whether you’re marking the occasion of Hanukkah, Christmas, Winter Solstice or Bodhi Day, we’ve got a myriad of merry recipes, as well as top hosting tips, that’ll ensure your party is a smooth, stress-free and, most importantly, fun occasion. Plus, to keep the kids entertained during the holidays, check out our cute and Christmassy candy cane meringue recipe – it’s super easy to make and requires barely any mess! 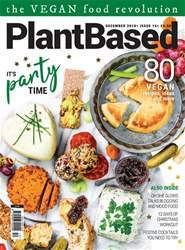 But it’s not all Martha Stewart soirees and adults-only wine and cheese evenings, this issue we’re also speaking to vegan rock star, Josh Franceschi, frontman of You Me At Six, about the band’s collaboration with Temple of Seitan and how he handles his plant-based lifestyle on the road. And, as if one vegan superstar wasn’t enough, Angela Liddon aka Oh She Glows, (aka one of our favourite plant-based bloggers) is talking health, happiness and vegan food in our exclusive interview. Though some say there can be ‘too much of a good thing’, unless that good thing is tequila, I completely disagree; so for even more festive tips turn to this month’s V Word, where Heather will look at the inventive ways you can eliminate waste over the Christmas season. Merry Christmas to all and to all a good night!